You are currently browsing the tag archive for the ‘Hadith’ tag. “None of you truly believes (in Allah and in His religion) until he loves for his brother what he loves for himself” – Prophet Muhammad pbuh. “If you feel no shame, then do whatever you wish.”- Prophet Muhammad. There is a lot of malice and hatred between muslims of different madhabs. A lot of people in social media use more time in explaining why some brother from another madhabs is wrong in something instead of giving isla or dawa in general stuff people lack. Instead of strengthening the bond of brotherhood in Islam, we are having some serious issues of unity. We are fighting each other instead of being together against our enemies. The non-muslims are taking advantage of this and putting oil to the fire, and we behaving like puppies. We don`t understand that we are hurting only ourselves. Without unity how are we able to cope with the difficulties the Ummah is facing today? Rather than correcting each others madhabs aalims why can`t we talk about those things that we agree about? There will always be some differences, that doesn`t mean that we should not be able to co-operate. We can rather look at the benefit our cooperation can help the Ummah whom is in a very difficult time. We need to show mercy to each other, and help each other when any of us falls. I listen to story`s from my parents that things were different before. Nowadays we have difficulties trusting even our own family, than how on earth will we be able to trust someone from outside, muslim or not. There is a hadith from the Messenger of Allah pbuh that there will come a time that when the muslims will start to fight each other, than Allah will not help them. Isn`t that what has happened. Our Ummah is bleeding on different places and we are not helping or caring for each other. Greed, jealousy, animosity, envy, hatred, backbiting, pride, bitterness is ruining us. 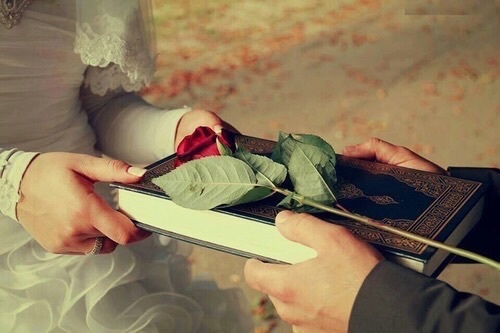 The Messenger of Allah pbuh said, that if one brother proposes to a woman, than the other brother is not allowed to propose to the same girl, until one of them turns down the proposal. Nowadays, sending a proposal is one thing, but people are deliberately putting hurdles in the way of other to get married, making troubles for them, that could lead them to haram consequences. If one person turns down a proposal, the people whom were denied put hurdles in the person’s life so that they`ll regret that they ever did that. Even if they later are not interested, but just so that those whom are more blessed than them gets turned down. What is their fault? They came in their way? They forgot the fact that our hearts are in the hands of Allah and he turns them wherever he wants. If you sincerely want something turn to Allah, instead of the creation. Using haram tactics to win, will not give any barakah in the marriage, but rather cause trouble. To win has become more important than the goal. People don`t think about whether they use halal or haram ways to achieve their goal. 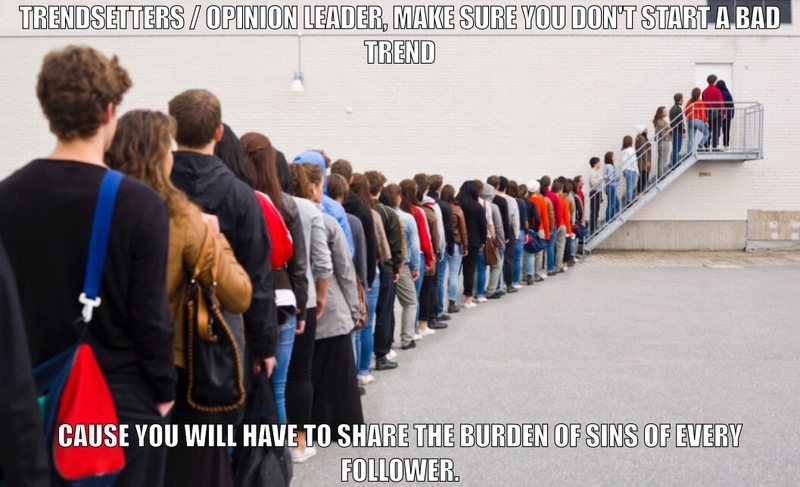 Belittling other and putting hurdles in their way so that they lose has become common. What has come to the world, when a brother or sister in Islam can`t swallow the fact that some people are a tad more blessed than them. So instead of watering their own grass, they put hurdles in others life. It has become a crime to be succesful. 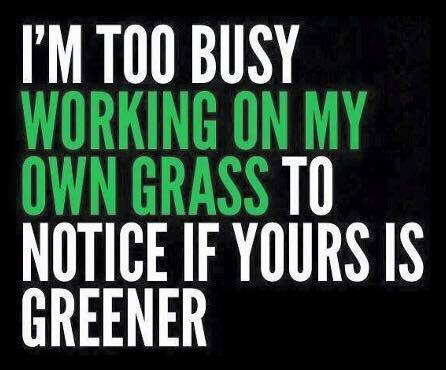 Why can`t we instead try to water our own grass, before we complain that others grass is more greener? Muslims with different colors and ethnicities are hating each other because they feel that they are better than the other because of their heritage, color etc. 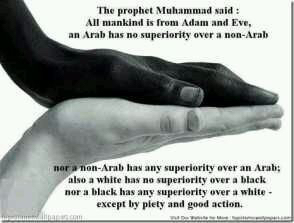 Isn`t that one of the things our Messenger pbuh fought to diminish. He said that no one is better than another no matter what their wealth, position, color or ethnicity is. If one of them are better than the other it is the one with the best taqwa / godfear that has the highest status. Haven`t we often seen that people with lesser positions in dunya, for instance someone whom is a cleaner, leads the salah, where people whom are wealthy is praying behind him. That is because the cleaner is with more knowledge of the deen than those in prayer behind him. Or the fact that everyone in prayer, no matter what status they have in dunya are standing beside each other in prayer. No one is ahead of anyone else, except for the Imam. We are all going into the same place in graveyard no matter how much wealth we collect. We have definitely forgotten the teachings of our Prophet pbuh when some people are behaving superior of others. Isn`t it a shame that people with good deen but not the best beauty have difficulty in getting married. People give preference to insignificant matters when they are looking for a spouse. The browner you are, the less proposals you get. Shouldn`t our first priority be to check if the deen is ok? How on earth will a man be able to lead his family in Islam, if he doesn`t know even the basics of Islam. How on earth is a woman going to be a good wife, if she doesn`t give any importance to Islam in her life. Like the Messenger of Allah pbuh has said, wish for your brother what you wish for yourself. If he is blessed in one thing, you might be blessed in something he lacks. We are all blessed differently, try to count your blessings when you see others are doing better than you. In deen look at those better than you, in dunya look at those below you. Remember: with every blessing there are also difficulties, with every difficulty there are also blessings. Instead of becoming jealous or envious of others, water your own grass, and see that the fruit of hard labour does give results. If you fall back at start, remember there must have been some lesson in the game of life you didn`t learn what you needed to learn to reach to the goal. So life threw you back to start, to teach it to you. Look at what we have in common instead of what differs us. Our goal should be to better the condition of the Ummah. That is not one-man-job. We can only do that if we unite and help each other instead of throwing stones at each other. The youth can become lost while we are discussing petty differences, that doesn`t mean anything in the long run. Look for deen rather than beauty. People with good character becomes more and more beautiful as the years pass by, regardless of their physical appearance. If you both are on deen, there is much chance you will re-unite in Paradise. Shouldn`t that be our ultimate goal? Learning from others`s mistakes is intelligence. That is a great way to raise the status and condition of the Ummah from generation to generation.